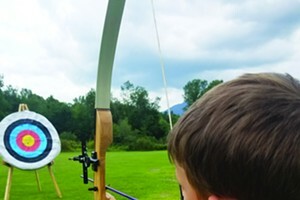 Sharing Stones With Vermont Rocks | The Kids Beat | Kids VT - small people, big ideas! There's joy in coming across something where you least expect it. 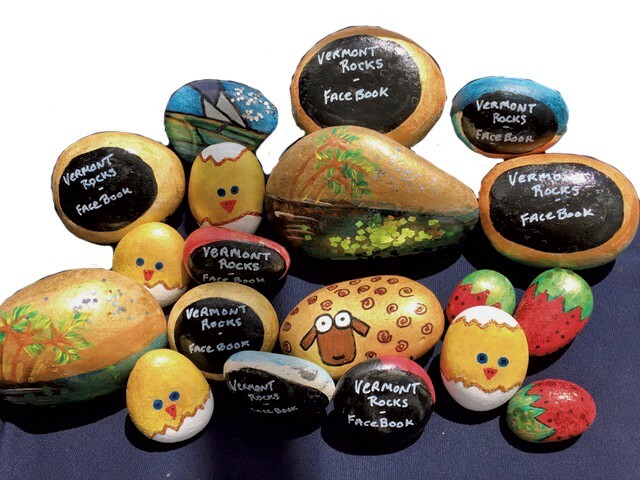 That was Shelburne resident Gail Murphy's motivation for starting Vermont Rocks, a Facebook group devoted to painting, hiding and searching for rocks. Murphy came across her first embellished rock while walking her dog in Brevard County, Fla., where she lives for six months of the year. When she flipped it over, she discovered the name of the Brevard Rocks Facebook group, which has close to 35,000 members. She joined and began painting and hiding rocks with the help of friends and neighbors. When she returned to Vermont this spring, she started a local group, currently almost 400 members strong. Murphy decorates stones using acrylic paint and glitter glue, then sprays them with a shiny, clear topcoat before hiding them on trails and in local stores "at kid level" for others to enjoy and take home if they're so inclined. "We found these last weekend on the Burlington bike path," reads one Vermont Rocks Facebook post, accompanied by an image of a pigtailed girl holding up an intricately painted rock. "Stumbling upon these rocks helped my tired girl finish her ride ... And now we're painting our own rocks to send out into the universe. Thanks for the inspiration." Find the Vermont Rocks Facebook group at facebook.com/groups/vermontrocks. Murphy plans to have a rock-painting table at the Champlain Mini Maker Faire on September 23-24 at the Shelburne Farms Coach Barn.